By creating an affiliate account at Private Investigators Union Website (IPIU) you will be able to earn valuable extra revenue by referring your website's visitors to us. Affiliate registration, is done only by Companies, Websites and Partners whom fully understand and agree to the Private Investigators Union Website (IPIU) Affiliate Program Terms and Conditions. a. Registration form submittal is performed through our website. b. Once registered the affiliate party is fully bound by the terms and conditions of the program detailed herewith after reading the Affiliate Information and Affiliate Program FAQ sections. c. Any and all advertising performed by the Private Investigarors Affiliates must be legal. d. Any action illegally performed by an Affiliate towards the affiliation and its causes, cannot and will not be held against Private Investigators Union Website (IPIU) website, management company or owners, as it is done solely by the Affiliate and under his own judgment. e. Filling in the registration form will automatically make you an Affiliate. a. Graphic and/or text links may be used both on your Web Site and in emails. b. Offline advertising i.e., in classified ads, magazines, and newspapers etc., may be used to promote the site. 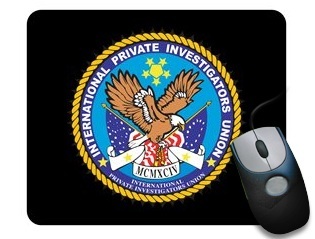 c. Graphics and text links are provided by us on Private Investigators Union Website (IPIU) Website. d. Creating other graphic and text links, which are not displayed on our website, must be approved by us before actually advertising them. a. All payments to Affiliates, due to orders generated by the Affiliates links will be sent to you through PayPal. 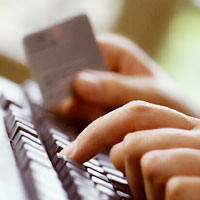 Payments are made 30 days after actual shipping date and only the moment your total commissions amount to $100 or over. This is to enable returns as per our website's policies. b. The moment your account total reaches $100.00 or higher, we will send you your payment through PayPal. This is regardless to when you reach the total of $100, we do not time-limit the validity of you commissions. If a commission is earned through sales by customers you refer through your links, you will get them! c. Earn from 10% to 25%, depending on your monthly sales and/or the type of product or item your customers purchase. For details, use the CONTACT US link to inquire further. For example, if during one month you referred customers who purchased items resulting in at least $100 commission, your payment will be sent to you through PayPal. During the following month, your customers purchased less resulting a $90 commission, then the $90 would roll over to the following month until another $10 commission brings your payment up to $100 to be sent to Paypal, 30 days after the shipping date of the last item purchased. Again, the moment your total commission reaches $100, we will pay you through PayPal. a. Any illegal action taken by the Affiliate. b.	Inappropriate advertisements (False claims, misleading hyperlinks). c.	Spam Promoting, (sending if mass email, mass newsgroup posting, etc.). d.	Advertising on sites containing/promoting illegal activities. e.	Violation of intellectual property rights. f.	Any action made or promoted by the Affiliate which is opposed or in conflict with our website's general and affiliate policies and terms. a. When a customer links through your Affiliate add, a cookie is set in their browser that contains your Affiliate username. In addition, their IP address is tracked and saved in the database with your Affiliate information. b. When this customer buys a product, the cookie or their IP address will be recognized by our website. c.	As these identification marks are automatically related with your Affiliate information, our website will know that this purchase grants you the commission. d.	Your electronically categorized customer, remains yours for his current and ALL his future purchases on our site, even if next time, he logs directly to us. e.	Your customers will always remain connected with you on the condition that they returning to purchase from the same IP address OR that the cookie sent to them the first time they linked through you to our website, is still available their browser. a. Affiliate terms will begin upon your registration as an Affiliate to our program and will end upon termination of your Affiliate. b. Terms of this agreement may be changed or modified by us at any time. c.	If an Affiliate decides that any modification to the terms is unacceptable, his only choice is to terminate his Affiliate account. d.	Affiliates continuing their participation in the program, despite any modifications made to this agreement's terms, constitute their acceptance of any change. e.	Private Investigators Union Website (IPIU) is not obligated in any way to notify of such changes, is such are made. ii. Loss of database files. b. We do not make any warranties, expressed or implied, about our Affiliate program and/or regarding products sold on the Private Investigators Union Website (IPIU) website. Furthermore,, we do not claim that the operation of the Affiliate program or our website will be 100% free of errors, thus the Private Investigators Union Website (IPIU) website, management company or owners will not be liable for any interruptions or errors. c.	The Affiliate agrees and warrants that it will fully comply with all local, state and federal laws, (including, but not limited to, the "CAN-SPAM" Act regarding the sending of e-mails. d.	The Affiliate shall indemnify and hold the Private Investigators Union Website (IPIU) website, management company or owners harmless from any and all legal actions, damages or liabilities incurred from the ongoing, day-to-day operations of the Affiliate. Under no circumstances will the Private Investigators Union Website (IPIU) website, management company or owners be liable whether in tort, contract or otherwise for indirect, incidental, consequential, special or exemplary damages (including but not limited to damages for any loss of revenue, profits, business interruption, loss of business information or data, loss of goodwill, work stoppage, hardware or software failure, or other pecuniary loss) arising from or relating to any provision of this Agreement or the program. Without limiting the foregoing, the Private Investigators Union Website (IPIU) website, management company or owners aggregate liability arising with respect to this Agreement will not exceed the total fees paid or payable to the Affiliate under this agreement. e.	The Private Investigators Union Website (IPIU) website owns any and all rights, titles and interests in and to all information which is created by or collected during the operation of the Private Investigators Union Website (IPIU) website, and thus reserves the right to amend or terminate this Agreement at any time, with or without notice to the Affiliate.